This season Hoyle, Tanner employees are finding all sorts of ways to get out into the field. An essential aid to us in our field work is a GPS data collector. 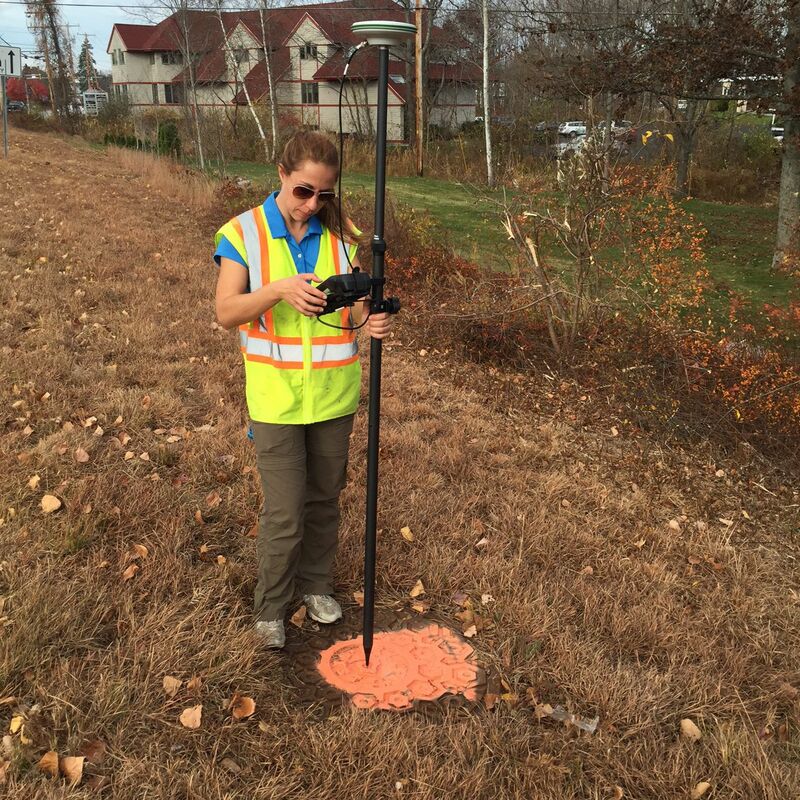 Employees from all departments have been utilizing the GPS data collector to collect centimeter grade accuracy GPS data in multiple states across New England. The variety of jobs the GPS is being used for includes tasks such as collecting utility pole locations in Massachusetts, flagging wetlands in New Hampshire, performing quality assurance checks of bridge superstructure construction in Vermont, utility asset management for multiple municipalities across New Hampshire and much, much more. The strength of the GPS data collector is not only in its ability to collect highly accurate, horizontal and vertical data, but also in its extreme ease of use. Horizontal data can be collected in the World Geodetic System 1984 (standard latitude and longitude) or any of the state plane coordinate systems, and the vertical data is collected in the North American Vertical Datum of 1988. The GPS is powered by an android operating system, and requires no GIS or survey experience to learn how to use. The device also streams real time kinematic (RTK) corrected global navigation satellite system (GNSS) positions. These real time corrections allow the user to see coordinates of shots as they are taken which also eliminates the need for special software to post-process the data back in the office. The GPS data collector is capable of outputting both GIS shapefiles and ASCII text files, and it is also capable of inputting GIS shapefiles that can be viewed as a layer while collecting data in the field. The GPS data collector is a powerful tool that has greatly improved the quality of field visits for the Hoyle, Tanner staff. The ability to obtain highly-accurate GPS data with the click of a button while on project sites is changing the way we accomplish tasks, and we’re doing it in a more efficient manner.